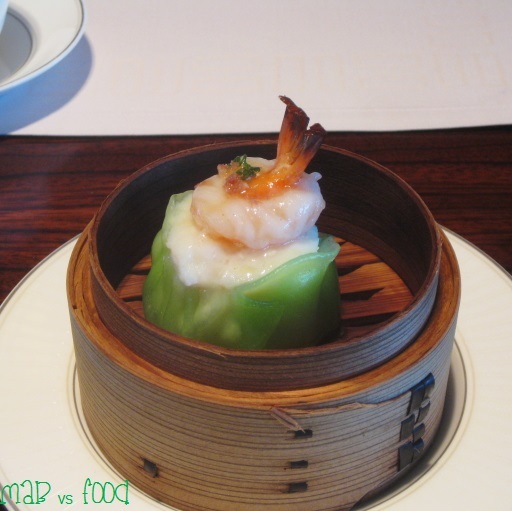 Lung King Heen is the Cantonese fine dining restaurant in the Four Seasons Hotel. Its extensive list of accomplishments include being the only Cantonese cuisine restaurant in the world to receive 3-Michelin Stars, the 13th best restaurant in Asia and 75th best restaurant in the world on San Pellegrino lists. Lung King Heen, which means “view of the dragon”, is a fitting name for a restaurant that has such stunning views of Victoria Harbour and the expansive Hong Kong skyline. Together with the exquisite food of Executive Chef Chan Yan Tak, Lung King Heen is destination for both local and touring gourmands alike. It is also worth noting that the Four Season Hotel is a culinary hot spot as it houses not one, but two 3-Michelin star restaurants (the other being Caprice, which serves French haute cuisine). The steamed bamboo pith dumplings were really quite exquisite and demonstrates what Lung King Heen is all about, bite sized parcels of dumpling goodness! The dumpling skins were faultless. They were nice and thin, and perfectly cooked with no hint of sliminess. A great way to start our meal. 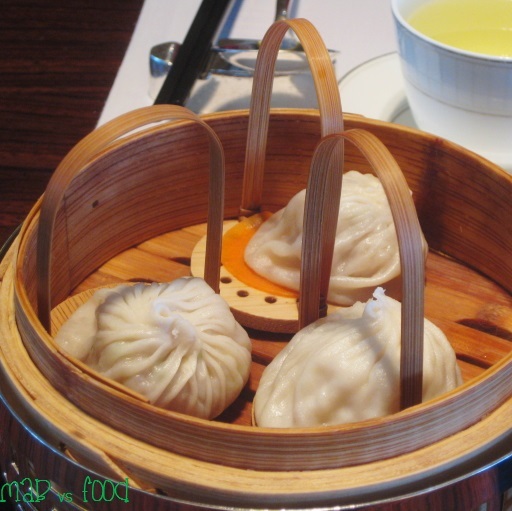 I have a weakness for xiao long bao, which are more Shanghainese than Cantonese. I love it when you bite into a xiao long bao, there is that burst of warm soup. I was drawn to these when I saw them on the menu, but ordering these were probably not the best idea at Lung King Heen, as you can find xiao long bao at other establishments that are just as good at a fraction of the price. I did love how there were slithers of delicate crab meat inside these dumplings. And the little wooden trays that each xiao long bao was placed on is an excellent idea that more places should think of doing. These trays made it easy to pick up the dumplings without them exploding before you put them in your mouth. 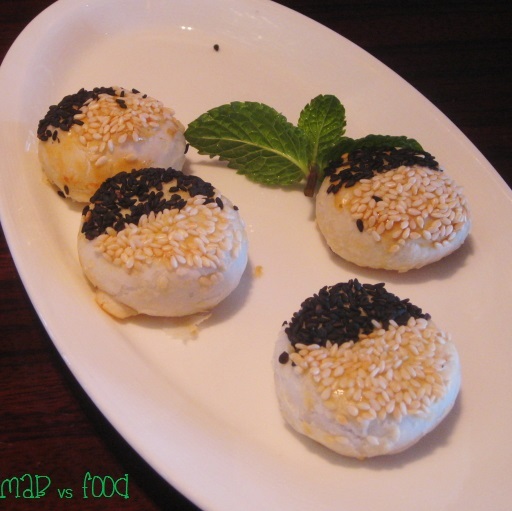 The lobster and scallop dumpling is a dumpling fitting for a gourmand and seafood lover like myself. The dumpling had very clean, fresh and delicate flavours. 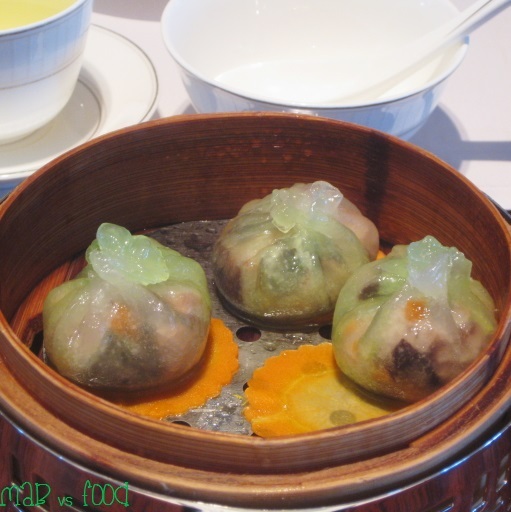 The dumpling consisted of a nice, sizeable chunk of lobster, a thin slice of scallop and a prawn stacked on top of one another and wrapped in a cabbage dumpling skin, which is lighter than the usual dumpling skins. All the seafood was perfectly cooked and a delight to eat, with lovely natural sweet flavours you get from fresh seafood. I wish I ordered more than one and could have this luxe dumpling more often, but unfortunately one is all I could afford. 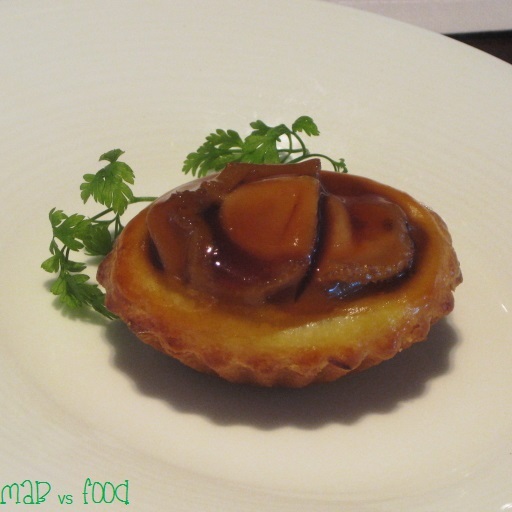 The abalone puff is the other fancy bite sized treat that I ordered one of. The flavours of this puff were really quite amazing. The piece of abalone was tender, which I obviously loved given my Chinese heritage. The pastry shell was awesome too as the pastry was nice and flakey. I think I enjoyed the abalone puff more than the lobster and scallop dumpling. 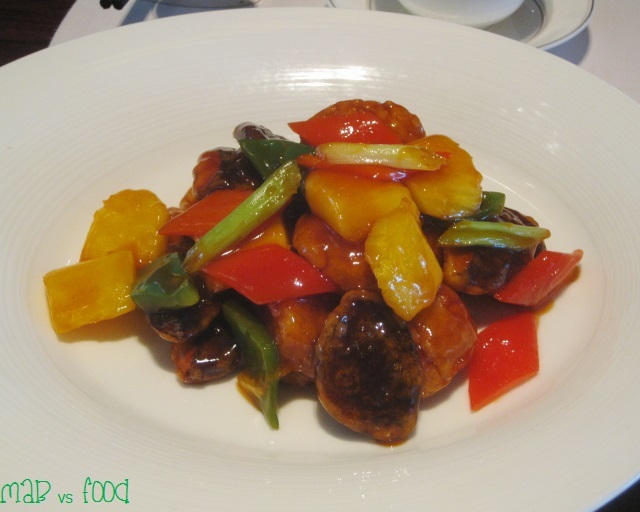 We decided to be typical ABCs (Australian-born Chinese) and ordered the sweet and sour dish. I thought this dish was a bit of a mixed bag. The sweet and sour sauce was quite good and had a great balance of sweet and sour, neither dominated the other. I love the taste of cooked fresh pineapple in sweet and sour dishes. The batter was good as it was nice and thin and had great crunch to them. The shitake mushrooms were delicious. And what I didn’t like about the dish: there were these other mushrooms (which I think are hedgehog mushrooms, a variety of wild mushrooms) which I unfortunately just didn’t enjoy. They had a soft, chewy texture that I liken to chewing chunks of pork fat. I didn’t think the texture of these mushrooms worked particularly well with the batter and the sauce. Having said this, my wife didn’t find the hedgehog mushrooms to be unpleasant like I did, so it could just be me. This was just YUM and not what I expected. 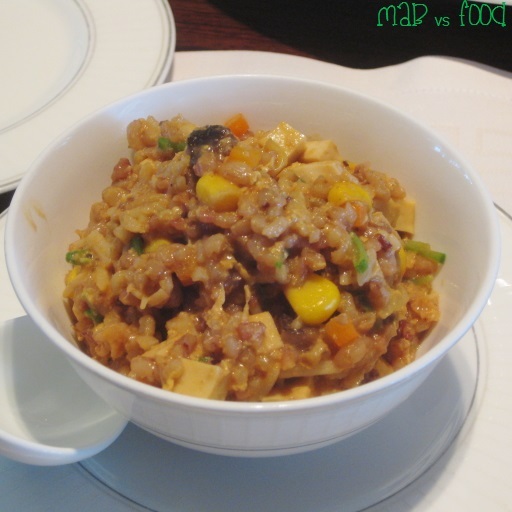 I thought this would be more like a typical fried rice that is usually dry and not sauced. Instead the rice was wet but not drowning in sauce. The vegetarian oyster sauce was absolutely delicious. The use of multi grain rice instead of white rice was also great from a texture and flavour perspective. BEST MANGO DESSERT EVER!!! And the dish of the day easily in my opinion. 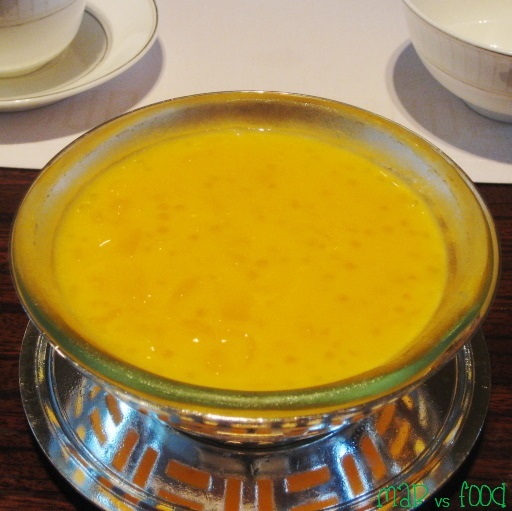 The bottom layer was a soft, smooth mango pudding that was topped with a mouth-watering delicious mango soup. The dessert tasted prominently of real mangoes, so there was an abundance of natural sweetness. What also made this dessert so great was how refreshing it was, perfect for the stifling heat of Hong Kong. 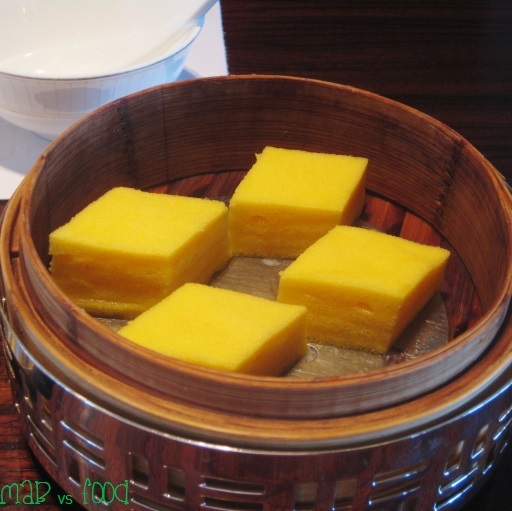 Ma lai gao is another favourite of mine at yum cha. I love how it is so soft and fluffy. This version also had egg custard, another one of my weaknesses, sandwiched between each layer. These were only just ok, and nothing special. I was not really a fan and did not think this should be a dish in its own right, more a petit four. I would have also liked more hazelnut flavour. To finish off this meal we were served these complimentary petit fours. 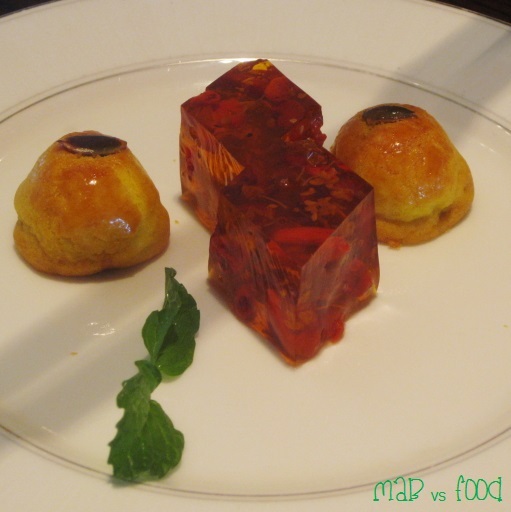 The jelly like thing is tonic medlar and petal cake, my favourite of the two, and the other petit four was a pleasant lotus paste puff. So is Lung King Heen worth 3 Michelin stars? It is difficult for me to come to any firm conclusions given that we tried only a few dumplings and other dishes and didn’t try any of the live seafood dishes that they are famous for. However, I would say that the food we tried probably doesn’t fit Michelin’s description for a 3 Michelin star restaurant being, “exceptional cuisine, worth a special journey”. Whilst the food was excellent, for me the only dish that was mind blowingly good was the mango dessert. The food is certainly pricey for Cantonese cuisine but at about $50 a head for what we tried, this is very cheap for a meal at a 3 Michelin star restaurant. Mind you, if you have their specialty dishes at dinner, you will expect to pay 3 Michelin Star prices. 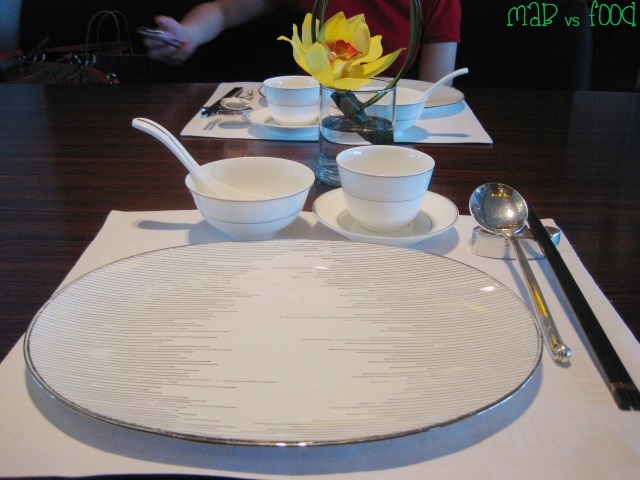 The service was exceptional for a Chinese restaurant and what you would expect from a restaurant rated at this level. It was efficient, friendly, attentive and very professional – adjectives that are often not used to describe Chinese restaurants. And the setting is certainly worthy of 3 stars: an elegantly fitted out dining room with outstanding views of Victoria Harbour and Hong Kong’s skyline. Highlight: The Chilled Mango and Sago Cream with Pomelo is the most awesome mango dessert I have ever eaten! Lowlight: I am not a fan of eating something that has the texture of deep fried chunks of pork fat, as was the case in the sweet and sour hedgehog and black mushrooms dish.